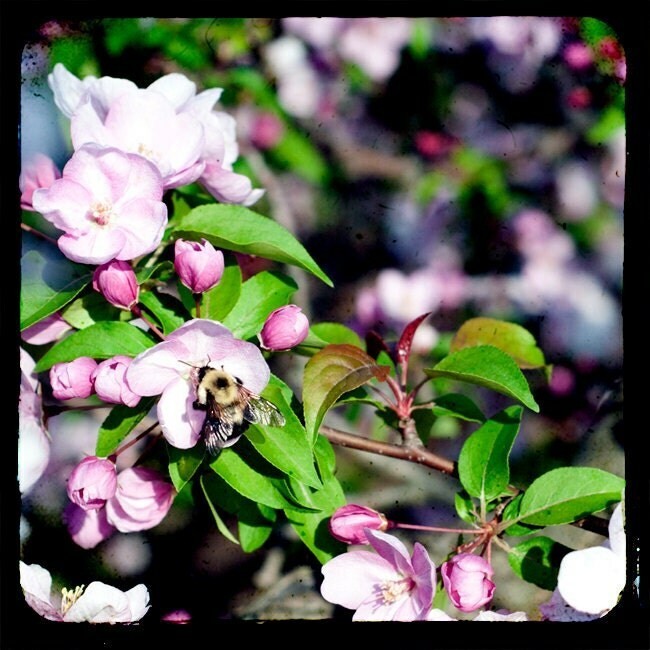 My world through photography: Have a Bee - utiful Sunday! Have a Bee - utiful Sunday! The above photo of a fuzzy bumble bee immersed in cherry blossoms was taken at Cantigny Gardens and Park in Wheaton, Illinois.